May 27, 2010 - National Transportation Safety Board Chairman Deborah A.P. 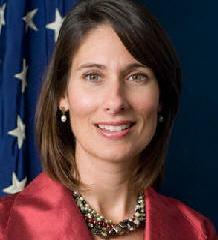 Hersman on Wednesday told the leaders of the nation's regional airlines to find new methods to solve old problems. Speaking before the Regional Airline Association national convention in Milwaukee, Wisconsin, Hersman congratulated the regional airlines for eclipsing the mainline carriers by operating over half of scheduled airline departures in the nation. Hersman noted that, while regional airlines are becoming an increasingly important segment of the nation's airline industry, they also have come under increasing scrutiny. Although the rate of fatal accidents involving Part 121 carriers (encompassing virtually all scheduled airlines) today is half what it was just ten years ago, some recent high-profile accidents like the 2006 Lexington wrong runway takeoff crash and the 2009 crash on approach to the Buffalo airport have raised questions about minimum standards, professionalism, pilot training and qualifications. Beyond the overarching tragedy of the lives lost in those two crashes, Hersman noted that the entire industry rises or falls on its safety record. "This fact could not have been clearer after the [Buffalo] crash, when all regional airlines suffered in the court of public opinion." Hersman said that RAA member airlines need to explore new approaches to solve old problems like pilot fatigue, which has been on the Board's Most Wanted List of Transportation Safety Improvements for 20 years. As an example, she cited a trucking company that invested in sleep apnea screening, which resulted in a reduction in preventable crashes by 30 percent, and an incidental decline in monthly health care costs of almost $540. Hersman reminded her audience that the Safety Board will host a symposium in October to discuss issues related to code sharing agreements between major airlines and their regional partners. ?It is remarkable how far this industry has come. Despite the post 9/11 challenges and the economic crisis of the last few years, the industry continues to demonstrate its resilience. And yet ? despite the significant strides we have made in safetyI know everyone here agrees that we need to do more. Despite all the improvements, we are still seeing system failures that can have tragic consequences. "Unfortunately, during my time on the Board, I have been involved in the NTSB?s work on the last two fatal scheduled airline accidents which have involved regional carriers ? the Lexington/ Comair Flight 5191 wrong runway takeoff accident, and the Colgan Air/Buffalo loss of control accident. These tragedies have turned the intense focus of media and Congressional attention on the safety of our commercial airlines and in particular, on regional carriers. We can debate whether that is fair or not, but what?s not debatable is that some of the recent accidents were preventable. "As most of you know, Colgan Air Flight 3407 crashed five nautical miles short of the runway at Buffalo-Niagara International Airport, killing all 49 people on board and one person on the ground. "In some ways, the Colgan Air crash was a watershed event, in that it brought into the harsh spotlight a number of issues that have been quietly plaguing the industry for decades. NTSB?s investigation into Flight 3407, which concluded earlier this year, determined that the crash was due to poor pilot performance. The tragic loss of life was only compounded by the fact that it was a recoverable accident. "And even while the NTSB was still gathering the facts, the media, the Congress, and the family members of victims, raised some questions about the industry. Questions about pilot performance, commuting, fatigue, training, and the relationship between mainline carriers and their regional partners have all been a part of the congressional and Safety Board investigations. "From the Safety Board?s perspective, our investigation revealed a number of issues in this accident that have been of concern to the Board for a number of years. For example, the issues of fatigue and commuting were highlighted by the actions of this crew. The captain had spent the night before the accident in the crew room ? against company policy. And the first officer had flown through the night prior to the accident in the jumpseat of a cargo flight from Seattle to Memphis and then another jumpseat flight from Memphis to Newark.
? And inadequate procedures for airspeed selection and management during approaches in icing. "We all have a responsibility to learn from these preventable mishaps. And I?m particularly pleased to see that the accident has refocused the industry and the FAA?s attention on some of the issues that the Safety Board has been raising for several years, including flight crew monitoring, pilot performance, sterile cockpit violations, fatigue, training, record keeping, use of personal electronic devices, and safety alerts. "If we want pilots to be better at monitoring, we need to revise procedures. If we want to address how much rest pilots get, we have to address commuting. If we want pilots to be at the top of their game, we need to adequately train them. And if we want to raise the bar, we can?t simply require industry to meet a safety ?floor.? "When the Safety Board concluded our hearing on Colgan, I made a comment that it felt like the movie ?Groundhog Day.? What I meant was that the issues we discovered in our investigation were nothing new. We?ve long known about them, and in fact the NTSB has longstanding recommendations on many of them. "She closed by saying she is encouraged by the fact that, for the first time ever, RAA member airlines and their mainline counterparts are meeting this week to discuss better safety coordination. Invoking President Kennedy's quotation that a rising tide lifts all boats, Hersman said "Likewise, an airline industry that is safer tomorrow than it is today will lift all carriers to new heights."